This May a new fundraising event is coming to the Outer Banks, so grab your best hats and get ready to cheer at the Kentucky Derby Party – one that’s going to be held (virtually) in our backyards at The Elizabethan Gardens. And this is no ordinary fundraiser. According to the garden’s Executive Director Carl Curnutte III (a Kentucky native), it all started with the idea that several local nonprofits could join forces to create an event that would benefit everyone involved. 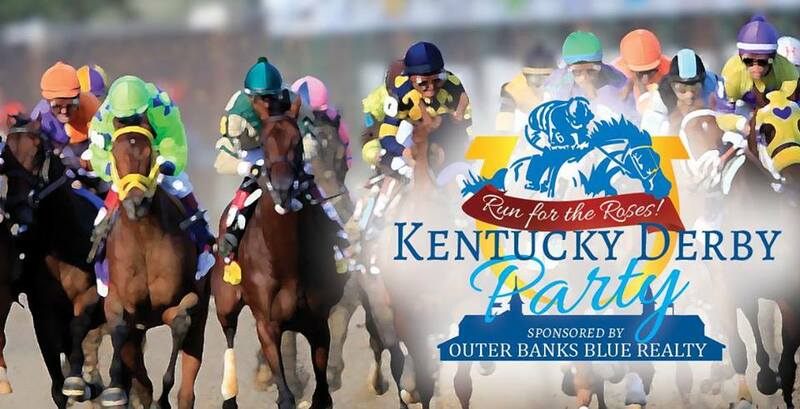 Hence, the first annual Kentucky Derby Party – sponsored by Outer Banks Blue Realty – which will raise funds for three great local organizations: the Dare Education Foundation, the Beach Food Pantry and The Elizabethan Gardens. The event will take place on May 6 from 4 to 8 p.m. on the garden’s Great Lawn (though the doors will open slightly earlier for VIP and Corporate ticket holders at 3 p.m.). A number of stations will be set up on the lawn in order to encourage guests to enjoy a buffet-style sit-down dinner, mingle and sample everything from classic Mint Juleps to Kentucky Bourbon Cake. Attendees can also enjoy a silent auction and bid on hats styled by local businesses (the creators of the hat that raises the most money will win a floating trophy and will automatically be VIP guests at the 2018 derby so that they can either present the trophy to next year’s winners, or, of course, attempt to hold on to it!). Feeling artsy? Guests can also bring their own hats to enter contests (categories include Most Creative, Most Colorful and Best Overall), or let their imaginations run wild at a photo booth featuring fun hats and other accessories – which will allow people to walk away with a special keepsake photo. These festivities, which also include a live auction and an awards ceremony, will all be held prior to the race – and once the Kentucky Derby actually starts, the race will be streamed live on the lawn. “Horse Bucks” will also be available for purchase so that attendees can test their odds for a chance to win a variety of prizes! Tickets to the first annual Kentucky Derby Party can be purchased online here. VIP tickets are $125 per person, while regular admission is $80, and tables of eight can be purchased for $1,000. For more information, or if you would like to donate toward the silent auction and/or any of the other festivities, please contact The Elizabethan Gardens at (252) 473-3234.